1. 6J1 fever gall bladder before the board is imitation machine music fax X-10D circuit principle design, to be a reasonable optimization, more stable than the original machine performance, the tube to play increased by 10 percent. 2. 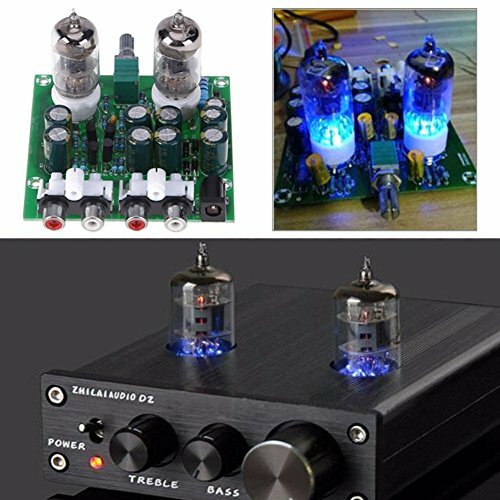 This machine uses a single 12V AC input, do not have to worry about looking for high voltage power supply The board comes with a boost you enjoy the low power supply to enjoy the charm of high-voltage tube. 3. Coupling capacitor using Taiwan FARAD electrode without charge MET series, high-frequency low-resistance electrolytic capacitors, 1% precision metal film resistors, J-class regulations tube 6J1.